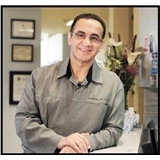 At Hall Dental, we provide the full spectrum of general, cosmetic, and implant dentistry. Dr. Kelvin Hall and Dr. Justin Hall are a father-son team with a shared mission to provide the highest quality of dentistry. Our clinic is a comfortable environment where you can expect to feel safe and cared for, like family. We hope to welcome you to our close-knit community! Dr. Kelvin Hall graduated from the University of Southern California with a Doctor of Dental Surgery in 1980. 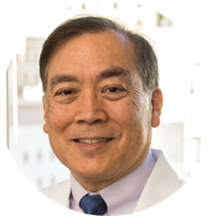 For his entire career, Dr. Hall has served the Bay Area community in his private practice in Downtown San Francisco. In his four decades of practice, Dr. Hall has trained with the world's top clinicians in restorative and cosmetic dentistry and has established himself as a leader in his field. In 2016, Dr. Hall received his certification in Pinhole Surgery, a revolutionary non-invasive procedure for gum recession. Dr. Hall is an avid Bay Area sports fan and dog enthusiast. In his free time, he enjoys going on walks through San Francisco's parks with his dogs, Charlie and Macy. I have gone to Dr. Hall for 5 years after seeking the reccommendation of a friend for a great dentist. She has been a life-long patient of Dr. Hall. I needed a lot of work done after living overseas and he(and his great staff) have walked me through procedures ahead of time, helped with billing questions, and planned out work to suit my schedule. I am very happy with the quality of work. Dr. Kelvin Hall, DDS has no appointments on Zocdoc right now.